Although the Motion Picture Association of America 2017 report1 confirmed Hispanics are the most avid moviegoers in the U.S., Latinos still do not see themselves reflected back in Hollywood. And, too often Latinos go to the movies only to see Latinos portrayed negatively on the silver screen. Many Latino actors report being passed over because they are too “Latin” for a non-Hispanic character, or because their accent is not thick enough for a Hispanic role. Moreover, Latina actors more often than not are cast in stereotypical roles such as the maid or the mistress. Hollywood’s overall lack of inclusion when it comes to women is especially true for Afro-Latina actors, who need to choose between Black or Latina roles, but can’t be both. 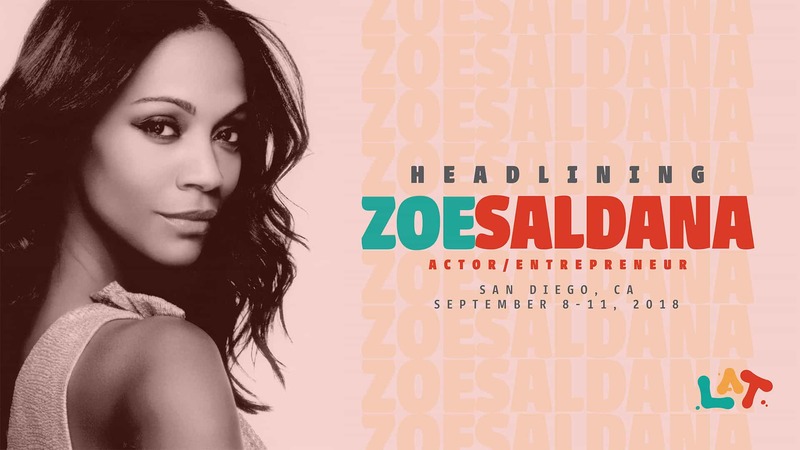 L’ATTITUDE speaker, Zoe Saldana, has successfully tackled the interpretation of African-American and Latina roles. With the strength of her performance in movies like Pirates of the Caribbean: The Curse of the Black Pearl, Star Trek, Avatar and Colombiana; Saldana has been breaking stereotypes to send a positive message and create opportunities for future generations. “I am raising American boys who will be perceived, and at times labeled, as other. I want them to be proud of who they are,” Saldana noted in her open letter on BESE2, her multicultural media platform. “I want them to know that their identity—as multi-cultural as it may be—is dignified and worthy of The American Dream”. Doors have been opened for Hispanics in Hollywood, but is it wide enough? Diversity often starts from behind the camera with writers telling stories that truly represent the realities of the New Mainstream.